As a real estate investor, you’re most likely familiar with the term “cash flow.” When it comes to determining the amount of money coming and going, assessing your entire portfolio is key. Some real estate investors may only need a small amount, while others look to make the highest return. Ask yourself, “how much cash flow is enough?” How much is each property going to cost you? Since the unexpected can happen at any time, substantial cash flow is important. Your cash flow could be needed for anything from roof repairs to replacing the carpet. It’s important to have that cushion for when emergencies happen. There’s nothing like an unexpected leak happening in the middle of the week! From a tax perspective, some investors may be looking for tax write-offs and losses to offset earned income. In other words, having more cash flow may not be the best option. Before investing in your next property, partner with an accountant regarding how much cash flow you can add without significantly increasing your taxes. Perhaps you fall into the category of investors who aren’t concerned about cash flow. Not all real estate investors have made cash flow a top priority for their investments, and that’s okay. They may be more interested in long-term capital gains and appreciation. When it comes to increasing your cash flow, there are a few different methods. Making substantial upgrades to your property is the most common way to raise the rent. Be wary of investing in higher-end properties with less room for improvement. The more money the property is worth, the more cash flow you’ll need. Another strategy is tapping into your equity in the property and investing that revenue elsewhere, therefore bringing in a higher return than your interest rate. Do you have questions about necessary cash flow when it comes to investing? 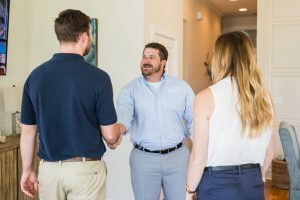 Contact us today to learn more about our property management services and receive a free quote!